and the new www.heroexchange.org website goes live! 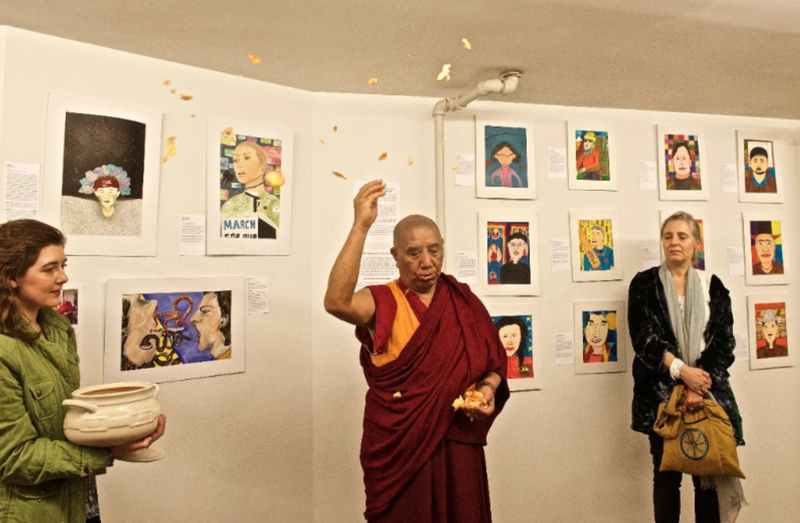 Watch Highlights of the opening with Khen Rinpoche. 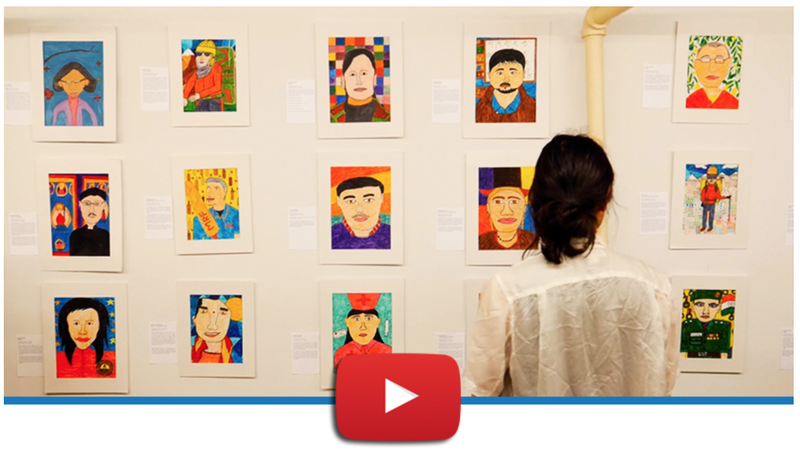 This video was generously made by volunteer Jurek Ugarow. The art opening of Local Heroes was hosted by the OSMOS Gallery in Soho, New York. The space is owned by the iconic art journalist and editor Cay-Sophie Rabinowitz and her curator husband, Tobias Tanner. We send a warm thanks to them and their staff, who generously donated their space for the event. 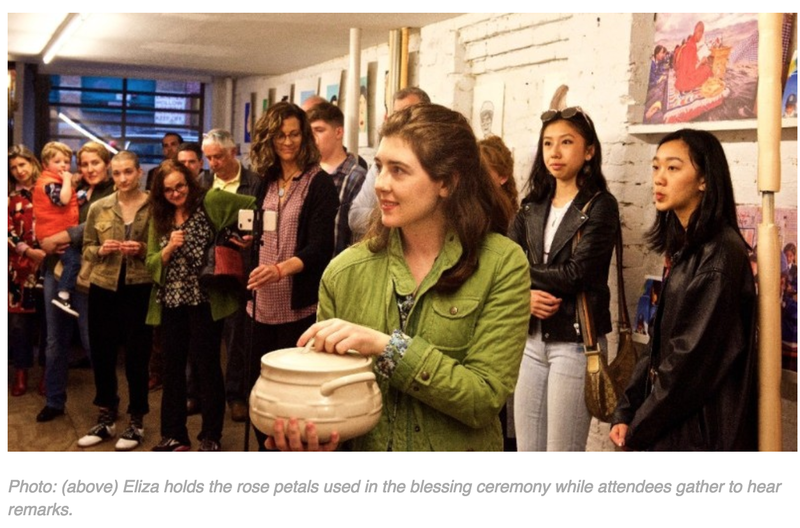 At the event, locally sourced Indian treats including Mumbai mix and chai-spiced lemonade were served, and Khen Rinpoche gave a traditional blessing ceremony of prayer recitations and rose petal offerings. Laura Kozaitis went on to say that it’s important that we focus on people with ethics and goodness during what can sometimes feel like an overwhelming negative news cycle in the world. The Siddhartha School Project is grateful to all who donated their time and services to host the event, including OSMOS Gallery, The Chaat Company who catered the Indian street snacks, The Ayurvedic Cafe who generously donated pakoras, Mysore par, and a Rava Kesari desert, Jane Stein Photography, and Jurek Ugarow for his video services. The project now includes over eight education partners: Minnequa Elementary School (COLORADO), North Yarmouth Academy (MAINE), the Bush School (WASHINGTON), the Siddhartha School (LADAKH), Lower Eastside Girls Club (NEW YORK), and Rockland Country Day School (NEW YORK).